The Best Bookmakers for Horse Racing! There you go. Job done. Thanks for reading. Not so fast. Stick around. I might be able to save you some cash as well. What I’m trying to say is that we are very lucky here in the UK to have such an abundance of choice in bookmakers when trying to place a bet. It’s a vicious, gloriously saturated industry and it’s you the punter that benefits. For example, if you were to take a peek at the odds comparisons for the 2019 Cheltenham Gold Cup, there are currently 27 companies offering ante post prices for this race. It’s a long far cry from the days when you were restricted to walking down the high street and seeking out three to four high street bookmakers for the best odds. And with very few enticing promotions to boot. Of course, this is all down to the online revolution that has spawned a vast number of exclusively online bookmakers. We can also thank former Chancellor of The Exchequer, Gordon Brown, who thankfully removed betting tax back in 2002 thereby enticing a whole new generation to horse racing. In fact we have continuously benefitted from successive UK governments who have always been liberal towards the betting industry. We have a lot of freedom when it comes to betting compared to say The United States where gambling is restricted to just a few regions of the country. Therefore, choice is very much the key word when it comes to bookmakers in the UK now. But of course it is not all plain sailing. 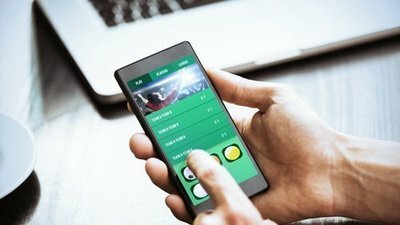 Whilst many firms have introduced some fantastic facilities and offers such as extended place betting, cash out options, enhanced prices and more crucially some real giveaway offers for new customers some have simply maintained their decade old policies and just plod on with the same old offers and promotions. My job therefore is to give you a better idea of some of the best bookmakers and how to find the best bookmakers online and where to get the best value, the best each way terms and the best offers for new customers. Read on. It’s time to save some money and get real value for your betting pounds! The old days of rigid each way betting rules are thankfully long gone. Although the rules, have more or less been retained for fields of 15 runners or less, the offers have been greatly enhanced for big field handicaps of 16 runners or more. 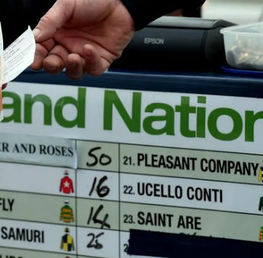 Normally, a bookmaker is obliged to pay out on the first four horses in the result. However, it is almost the accepted norm now for firms to pay out on the 5th place as well. In recent years, some firms have awarded punters even further and it’s not uncommon to see 6, 7 and even 8 places awarded on high profile handicaps such as The Grand National or The Cambridgeshire held at Newmarket. Unfortunately, the independent on-course bookmakers have seemingly ignored this new betting incentive and are generally sticking to the original format of 4 places. Therefore, if having a day out at the races it is imperative that the punter is armed with a mobile phone to make better use of the online each way offers. So which bookmakers are the kindest when dishing out the each way terms? Well in short, they are all fighting over each other to offer the punter the best terms although it’s a good rule of thumb that the sponsors of a big field handicap are most likely to offer the best each way place terms, but it doesn’t always work this way. Bet365certainly get the thumbs up for consistency as they often offer up to 5 places for the big field handicaps. However, they seem to shy away from giving places up to 6th, 7th and 8th. William Hill, on the other hand are not scared to offer the extended 7 and 8 places on occasion but on the whole seem to stick to the rigid 4 places on most races. It’s all pretty much swings and roundabouts. The main advice is to simply shop around and pick the best deal. It’s also worth noting that the normal ¼ of the SP odds offered for four places are nearly always reduced to 1/5 of the odds when further places are offered: this can make quite a difference to the overall returns. Again, shop around and try to get the best deal. Several firms are offering incentives for key races (especially on Saturdays) on a semi-permanent basis. William Hill have been offering their “2 Clear” offer for some time now. This is available on all live ITV races with 6 runners or more. If your horse wins by 2 lengths or more on single bets only, you will receive a 15% bonus on your winnings up to a maximum of £100. Please see full terms and conditions. 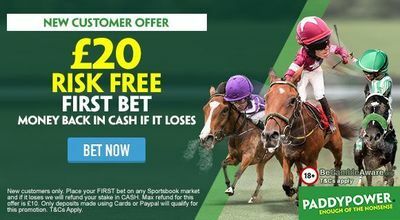 However, if you’re thinking of pouncing on a hot shot for the 2019 Cheltenham Festival this offer does not apply as ante post bets are not included in the offer. Bet365 have their “4/1 or higher” promotion on most Saturdays. 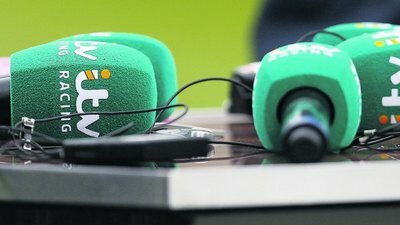 If you back a winner at 4/1 or higher on any live ITV race, Bet365 will give you a free bet on the next televised race. It doesn’t stop there however. 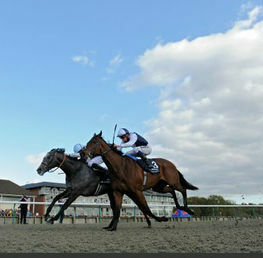 The firm will also give you another free bet if your free bet race won as well. As Ray Winstone loves to say “Keep backing those winners and we'll keep giving you free bets!”. You better believe it. Back a winner at 4/1 or more and get a risk free bet on the next live ITV race (up to £50) at bet365. Offer applies to first single bet placed. Applies to Win and Each-Way Fixed Odds markets and Enhanced Place Terms markets only. Bet restrictions and T&Cs apply. New and eligible customers only. 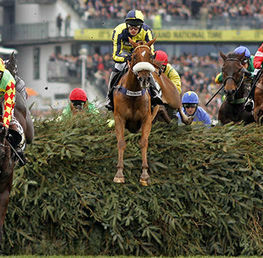 Coral Faller Insurance is a handy offer during the National Hunt season. Covering all ITV racing in the jump season, punters will get a stake refund as a free bet up to £25 if their horse falls, unseats or is brought down in any live ITV race. The red carpet is gleaming for all those customers opening new betting accounts! Most firms are stumbling over each other to win your custom and they will entice you with some amazing offers. Let’s take a look at several of the main firms. If you open a betting account with Coral and place your first bet on horse racing (£5 or more) they'll give you 4 x £5 free bets. 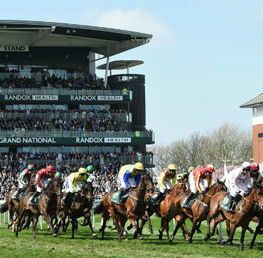 The first bet must be at least £5 or £5 each-way, at fractional odds totalling 1/2 or greater. Free Bets are then credited as 4 x £5. But you need to act fast as the free bets are only valid for 4 days. The free bet stake will not be included in any winnings unlike a standard bet. Please check all the other terms and conditions. Their welcoming offer is similar to Coral. Your opening bet must be at least £10 at odds of evens or more and will be awarded once your first bet is settled. The offer will be £30 worth of free bets. You have a little more time than Coral as you have seven days to use the free bets. Again, please check all terms and conditions. If you’re a complete rookie to the horse racing game and reckon your first bet might be a loser, fear not! Those lovely Paddy Power boys will take pity on you and refund you an entire £20 (maximum) in cash if your first selection loses! That’s right, no free bets, and a cash deposit back into your account. Check terms and conditions of course. The best betting offer however seems to come from Bet Victor. As long as you deposit and bet at least £10, the Gibraltar based firm will reward you with a whopping great £50 worth of free bets in £10 units! Boom! Not only that, they will also give you a chance to test your roulette skills by offering you another £10 to play on their online casino facility. William Hill will offer £30 worth of free bets providing you stake at least £10 in your first bet. The usual restrictions apply although they give a massive 30 days to use the free bets! The Dundalk based firm will give you £25 worth of free bets providing you deposit and place a bet of at least £10. Boylesports betting Offer! The offer here is similar to Paddy Power’s cash freebie. 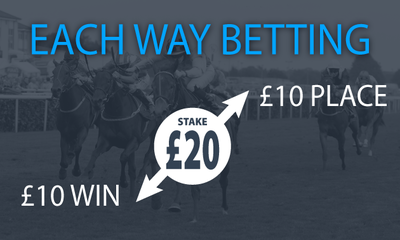 Place at least £20 in your first bet and receive the equivalent in cash if your selection loses. The first bet must be placed within the first seven days of opening your Betfair Exchange betting account. For the high rollers, Spreadex will give you an intriguingly good bonus in the form of a free I Pad providing you spend £300 in qualifying bets! It’s important! Overall, most of the firms have good easily accessible customer service contact points whether that be by phone, email or the new instant messaging service that is so favoured by many companies now. This side of communication doesn’t always hit the spot from my experience. More often than not, most requests are greeted politely and warmly but end up being a frustrating experience as either the agent has little or no knowledge of the sporting event betting rules in question. The answer is usually in the form of a copied and pasted segment of the bookmakers rules which are easily found online anyway and often don’t match the request you originally asked for. A number of times in the past, I have been given misinformation regarding betting rules, especially relating to antipost enquiries. Therefore, be very thorough with the online messaging service and check the given information very carefully. If in doubt, call them directly. Therefore, as we said from the start, all the established online betting firms can be relied upon to present good value to the punter. Providing you stick to your online accounts and avoid the high street branches and on course bookmakers for each way bets, you will reap the rewards. Ensure you take full advantage of the new customer offers and open as many accounts as possible: this will also give you more choice on getting the best odds. However, betting on the horses is supposed to be fun and if the fun stops..stop.